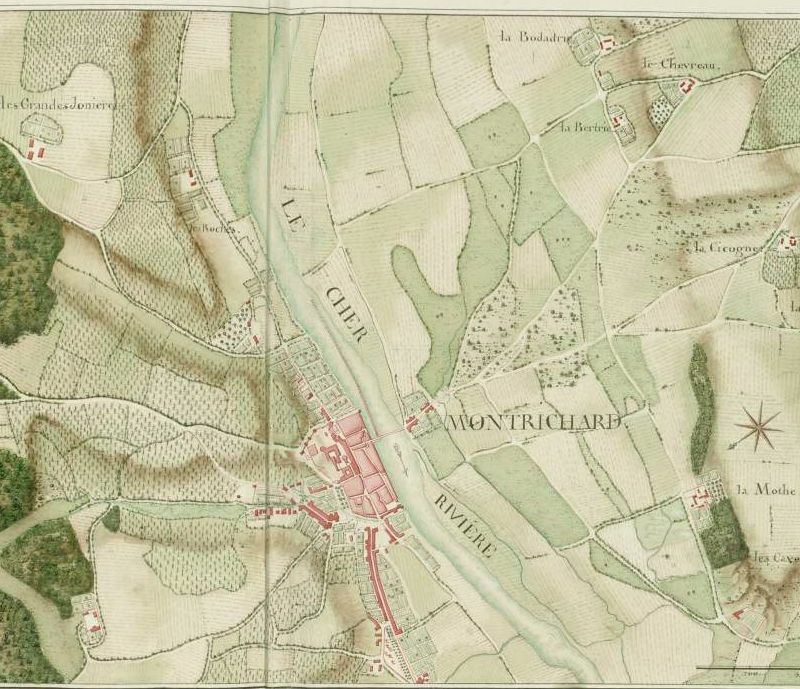 Below is a map of Montrichard on the Cher River and its surrounding communities in the Touraine, c1750-80. They come from the wonderful online collection of maps, images and documents at the French Ministry of Culture’s web site. This entry was posted in 18th Century, Cher, Maps, Montrichard and tagged French Ministry of Culture, Loire Valley History, Montrichard, Touraine History, Touraine map. Bookmark the permalink.